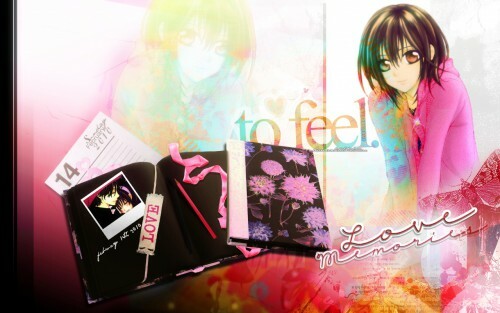 book with the picture, is like a photo album. I liked too the color on the letters and Yuuki. I really like it ^O^ The colors are great and the font fit the picture perfectly :) Great work!